Three years later, and in celebration of the 70th anniversary of Israel’s independence, “On the Grill” is in rehearsal on the Dobama stage. 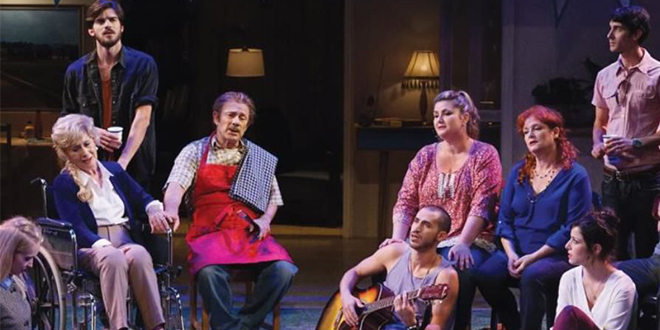 The winner of the 2015 Israeli Academy Award for Best Play, the drama is set in the backyard of a home on a veteran kibbutz in the Jezreel Valley where a family is celebrating Independence Day. Tensions build and generations collide as fireworks and artillery fill the sky and everyone tries to live a normal life under abnormal circumstances. “On the Grill” will be making its American premiere with Dobama’s fully realized production, which is presented in partnership with the Cleveland Israel Arts Connection, a program of the Jewish Federation of Cleveland. It features local actors Dorothy Silver, David Vegh, Juliette Regnier, Andrew Gombas, Arif Silverman, Emily Viancourt, Rocky Encalada, Nicholas Chokan, Michael Regnier and Olivia Scicolone. WHERE: 2340 Lee Road, Cleveland Hts.